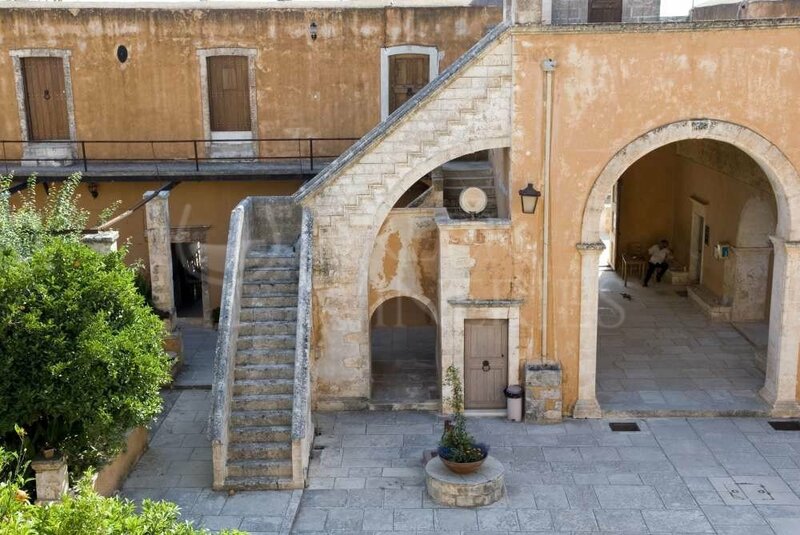 The monastery was built by the Venetian lords and brothers Jeremiah and Laurentius Tzagarolon. 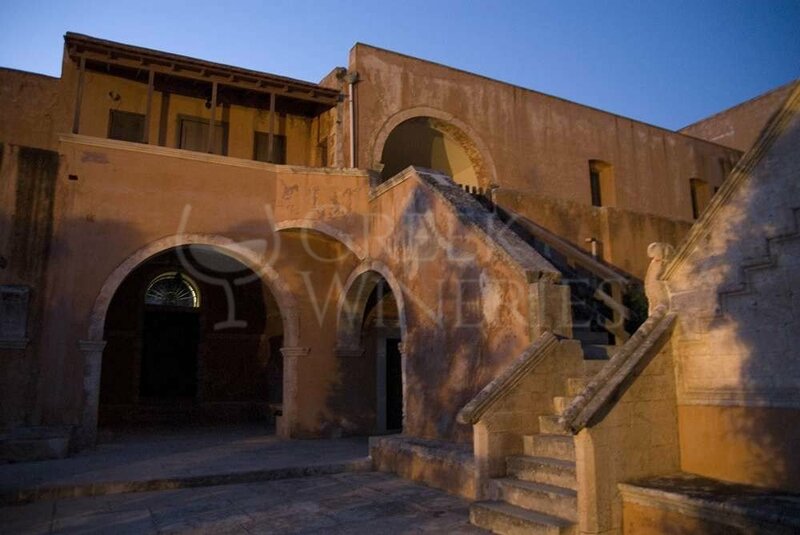 The monastery’s Museum was created for the exposition of church icons and a collection of codices. The visitor shouldn’t miss some important exhibits: the single manuscript eilito (cloth covering the altar with the image of the Holy Sepulchre) from the 12th century and the icons dated to the 16th-17th century: St. John the Theologian, St. Nicholas, the Enthroned Christ, the Life Giving Source and the Second Coming. 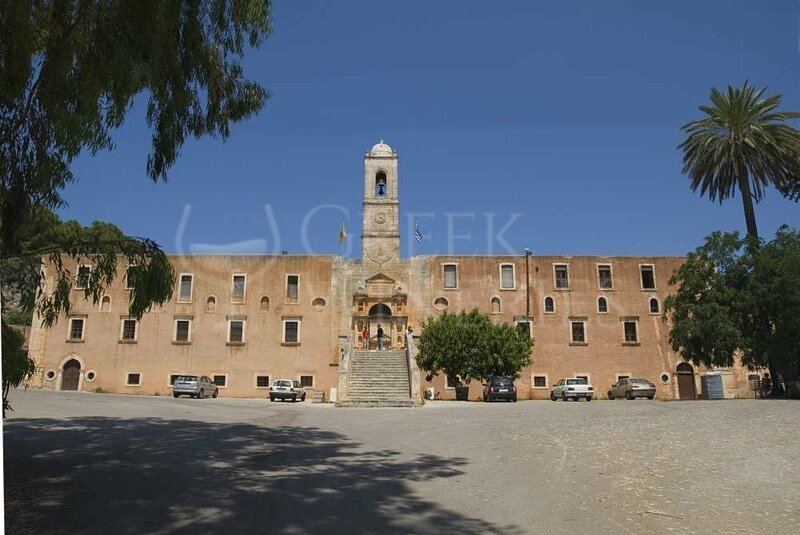 Along with the tour in the monastery and its Museum, the visitor can have a tour in the production areas of the unique organic olive oil, wine, honey, vinegar and soap of olive oil, all of great quality, produced and exported by the monks.